Income inequality is becoming a dominant topic of conversation, particularly as the 2020 presidential race heats up. Democratic candidates such as Kamala Harris, Cory Booker, and Elizabeth Warren have made it one of their core platforms. And according to a new study from the Economic Policy Institute (EPI), the wage gap between high-income earners and the rest of America might be worse than many realized. 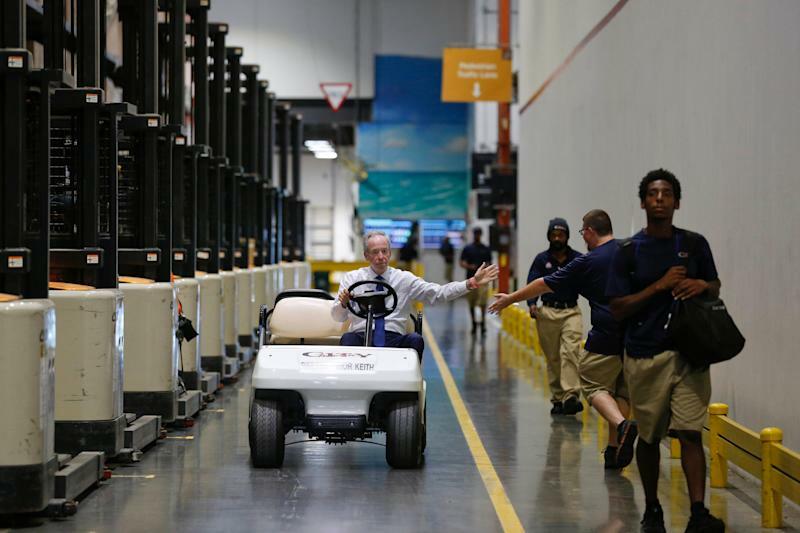 The study looked at hourly wages for all workers 16 years of age and older. Between 1980 and 2016, the U.S. was ranked fourth in the world among countries that saw the biggest wealth increases in the top 0.1%. The only countries ranked higher were China, India, and Russia. Contributing to the issue is that all wage growth isn’t created equal. 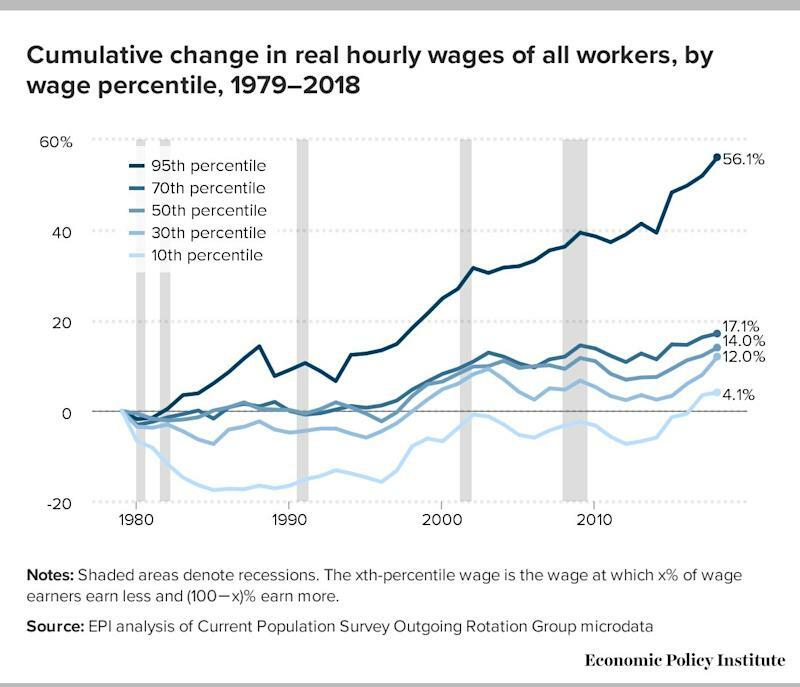 As the chart above indicates, hourly wage growth has been relatively stagnant for most workers when compared with the highest earners. The federal minimum wage has been $7.25 an hour since July 2009. Over the last 30 years, the median hourly wage increased by 14%. 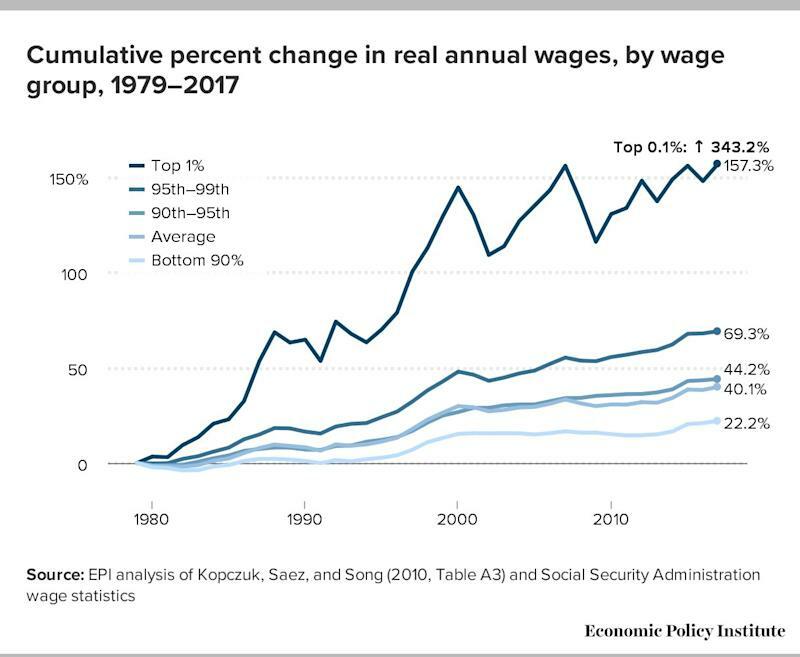 Workers in the 10th percentile saw a median hourly increase of 4.1%, yet those in the 95th percentile saw their wages go up by 56.1% during that same span. Gould doesn’t see policies enacted any time soon to change this current trend.